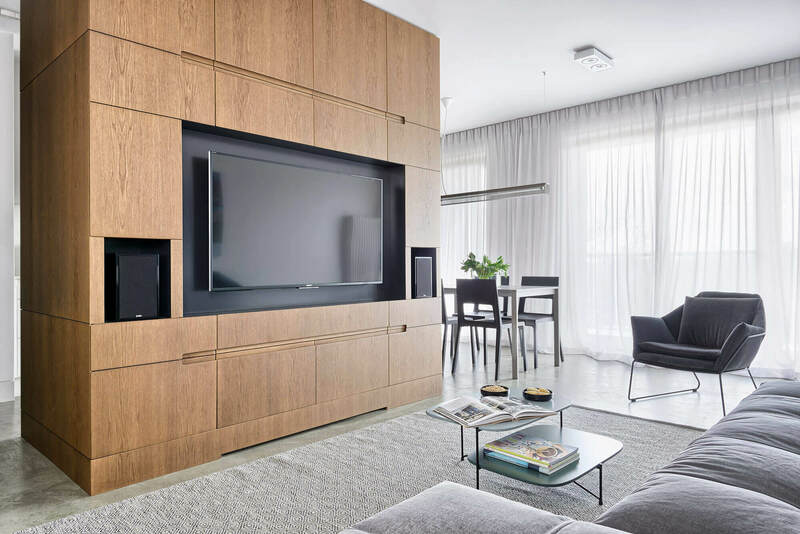 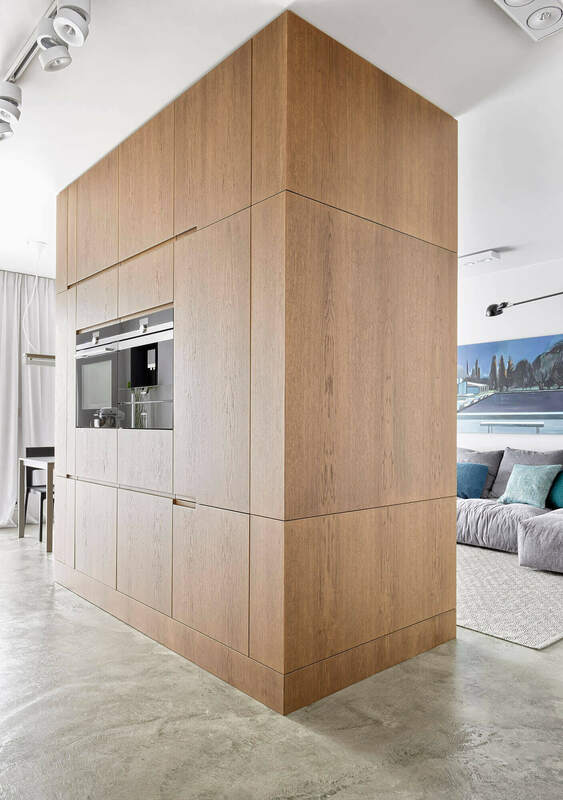 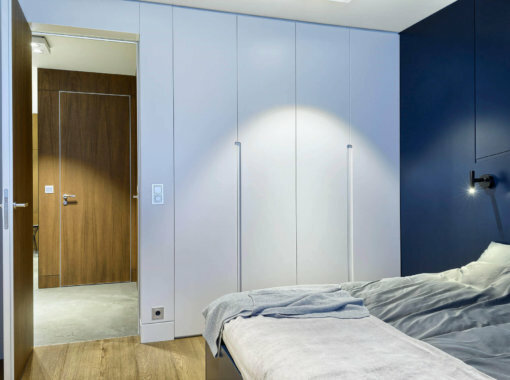 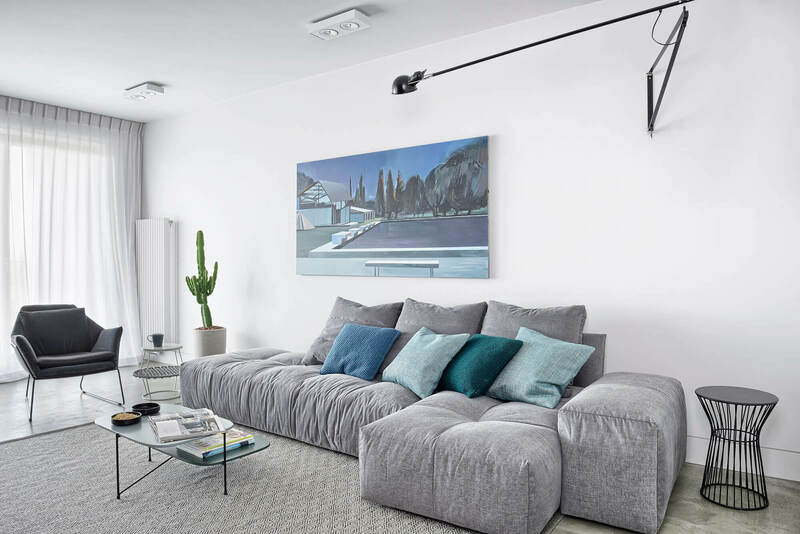 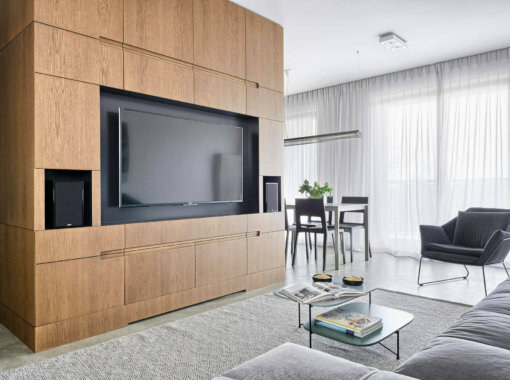 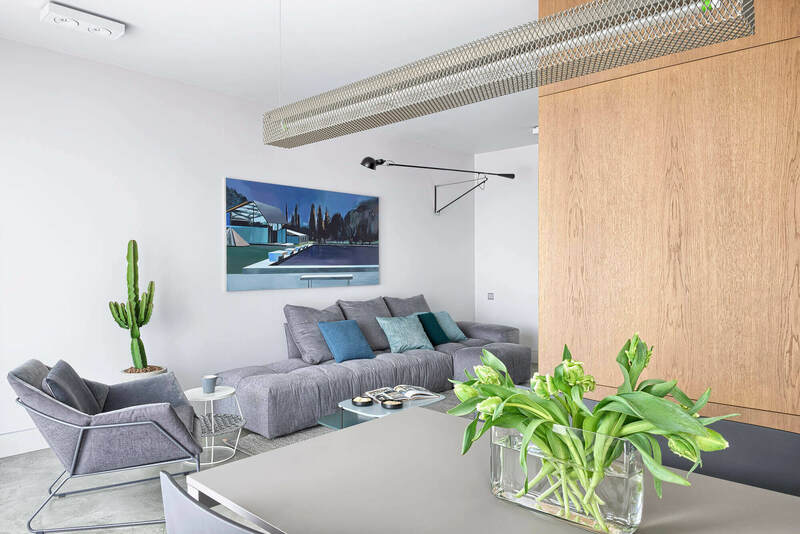 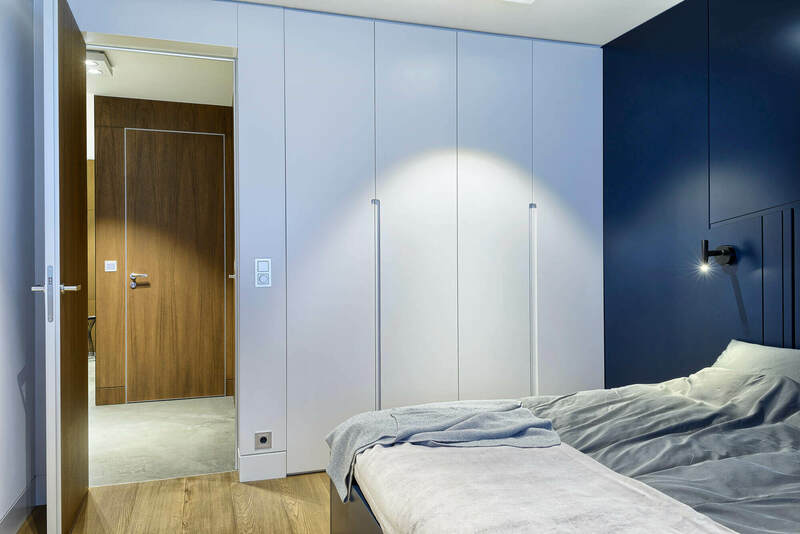 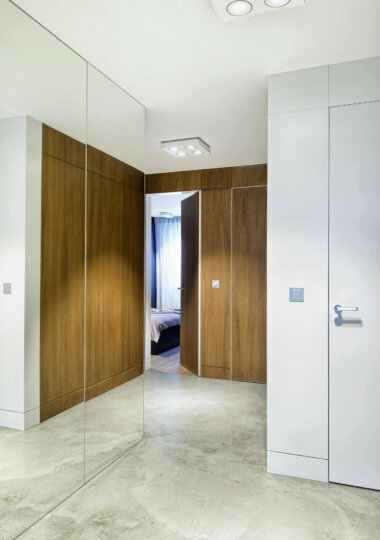 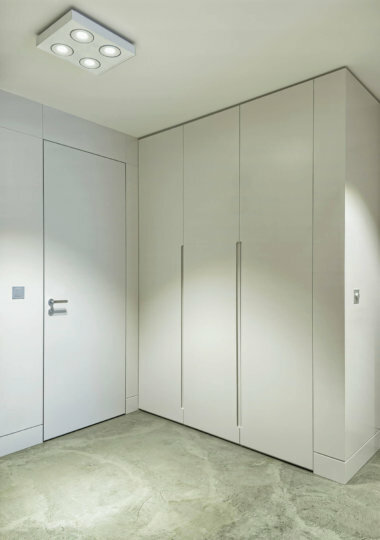 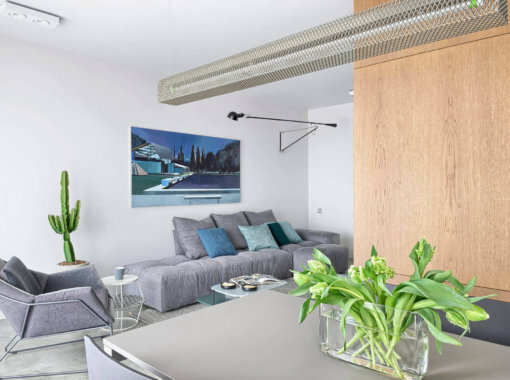 Clever, functional solutions are dominant inside Poznan’s Maraton Gardens apartment. 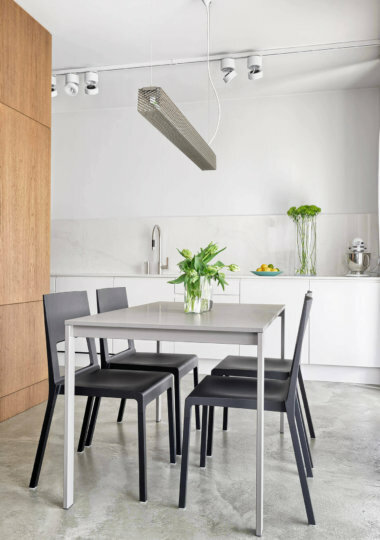 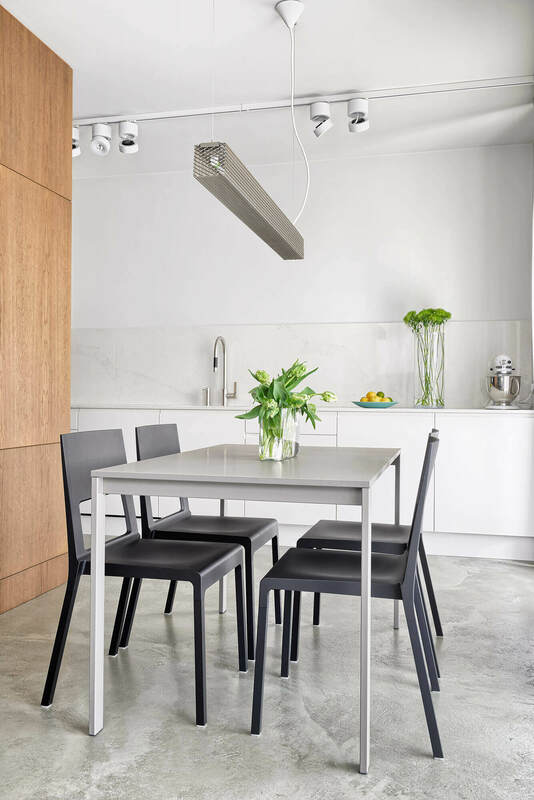 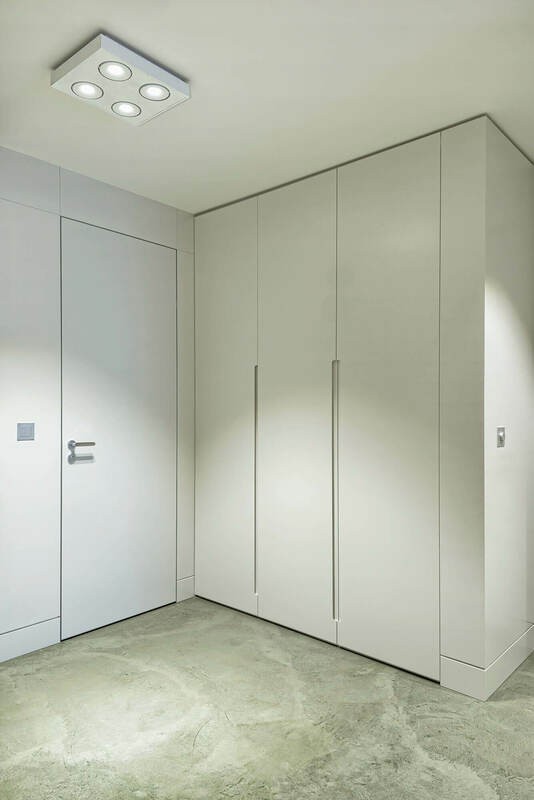 Concrete-like floor covering creates an industrial feel and works harmoniously with white surfaces in the kitchen and the living room. 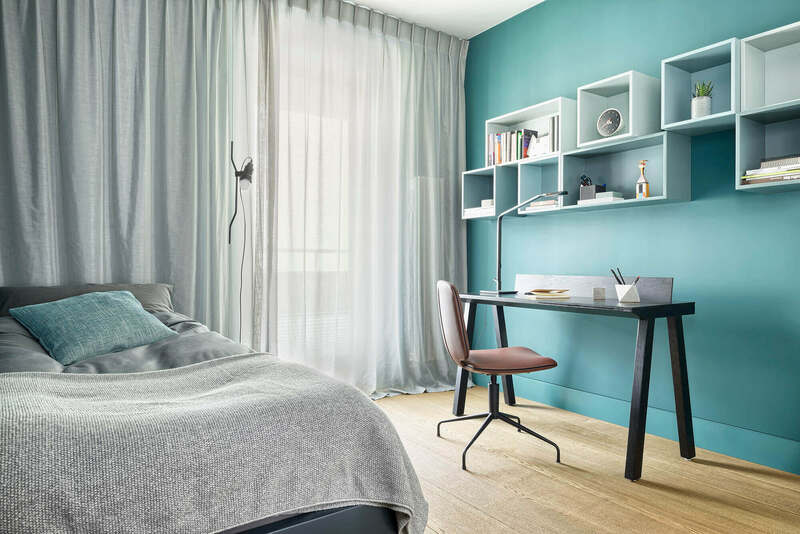 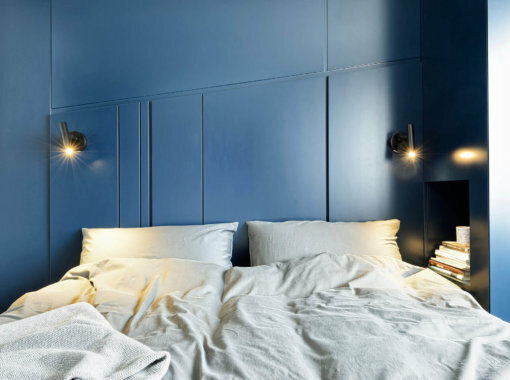 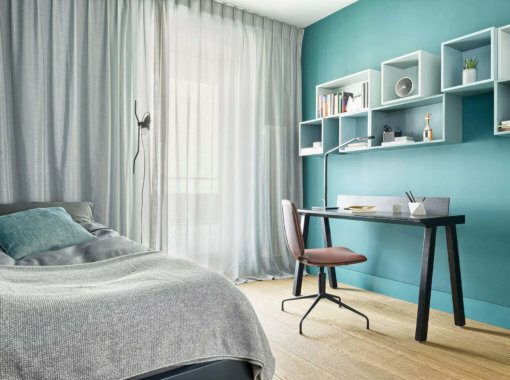 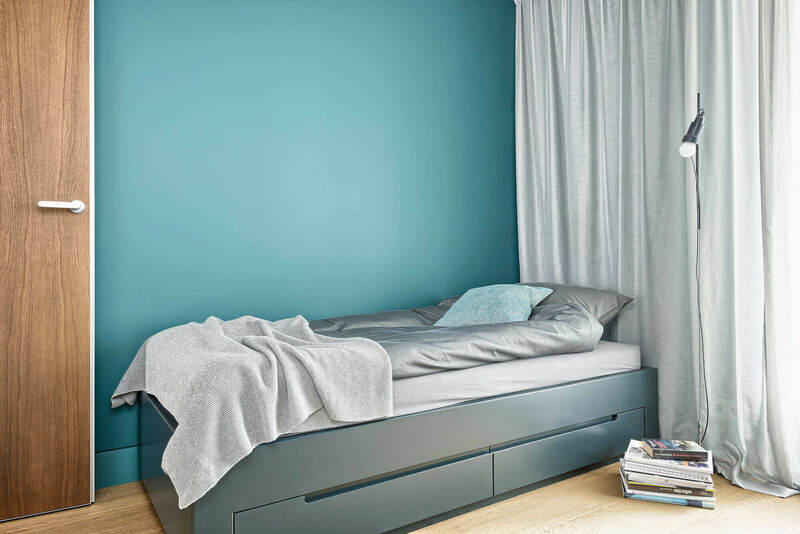 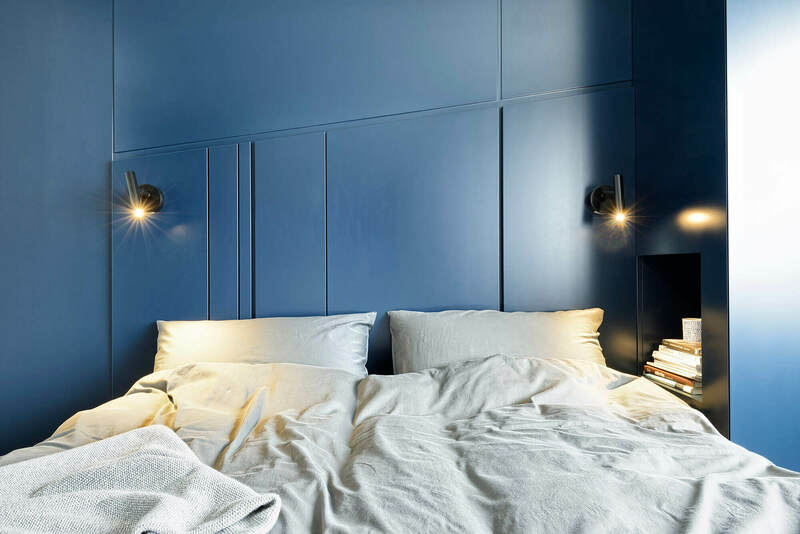 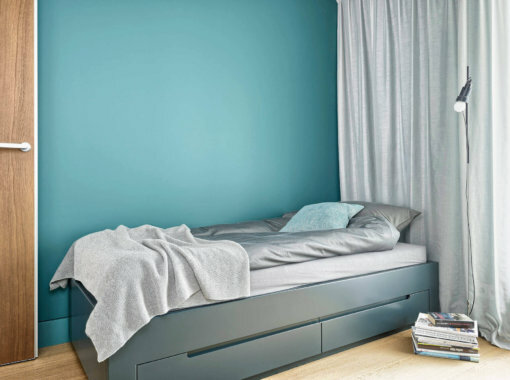 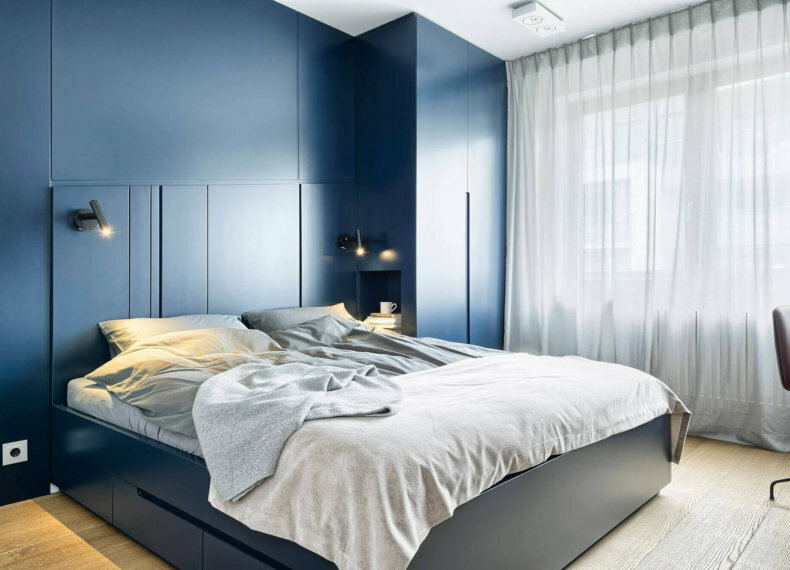 Elegant navy and fresh turquoise were applied in the bedrooms. 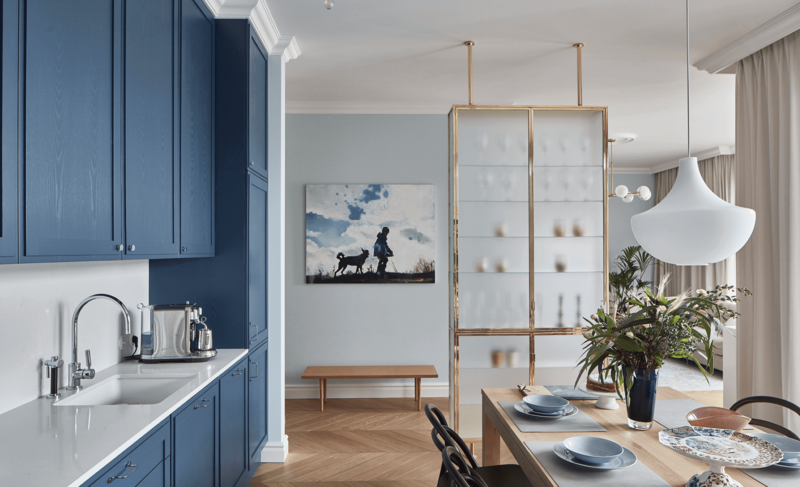 The modern character of the interior was highlighted with furniture and lighting from Saba Italia, Punt, Zero, Flos and Kasthall.